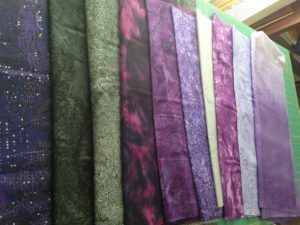 I started with fabric selection and determining the order in which they would appear in the “rounds.” The circuit board fabric at the far left was the key – it is also used for the binding. 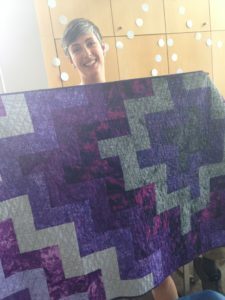 The pattern is six inch blocks, divided into two rectangles each, that are turned 90 degrees from each other – a variation on the traditional Rail Fence pattern. 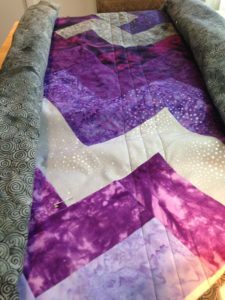 Keeping track of what fabric goes where to make the overall design come out was the trickiest part – there may have been spreadsheets involved. 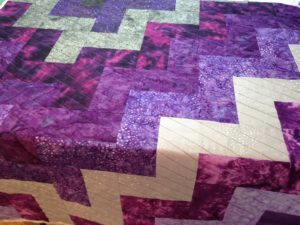 I love straight-line quilting for baby quilts because there are no ends to bury if they all go off the edges, and it’s relatively quick, while still adding an element of movement to the design. I used a dark gray and blue variegated thread from King Tut, with silver Aurofil in the bobbin. I went with 60 degree lines, about an inch apart. 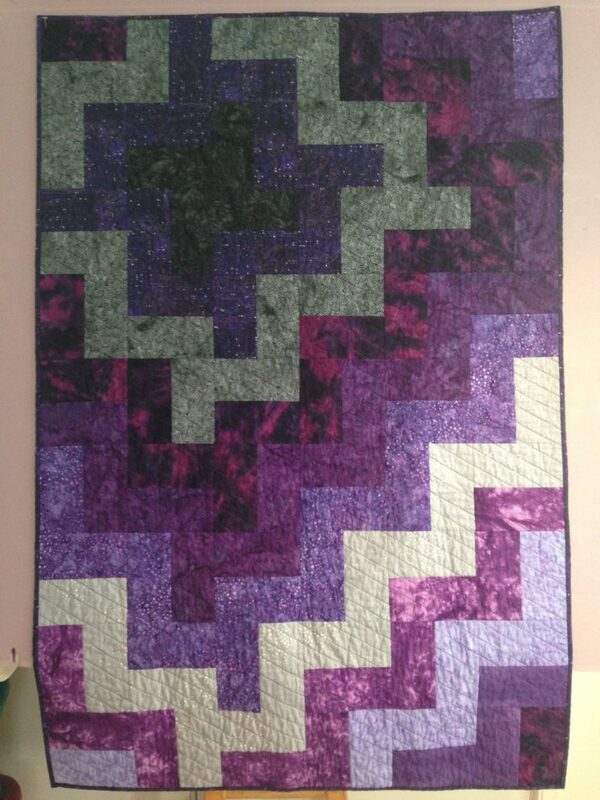 Here it is before binding. 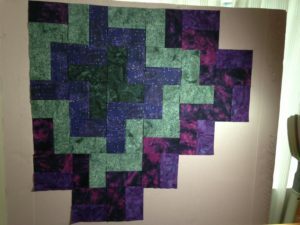 A shot of the central motif after quilting. I use Warm and Natural batting. 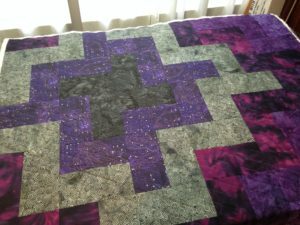 The first wash shrinks about 3%, which gives a gorgeous scrunchy texture to the whole quilt. 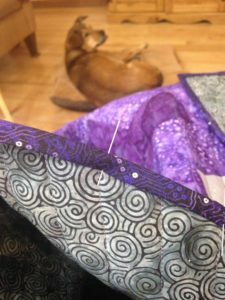 And during binding – with a bonus shot of River dog behind! And with the gorgeous mother to be at her shower!